I want to start off this post by saying, I have lived in the new house for one whole week now and I don't think I have ever loved a house more in the 38 years I have been alive. This house has so much character, my commute is 5 minutes and I love this neighborhood! So my favorite things 1-15 are the house but I will give you my list of 5 other things that also made the top of my list this week! 1. 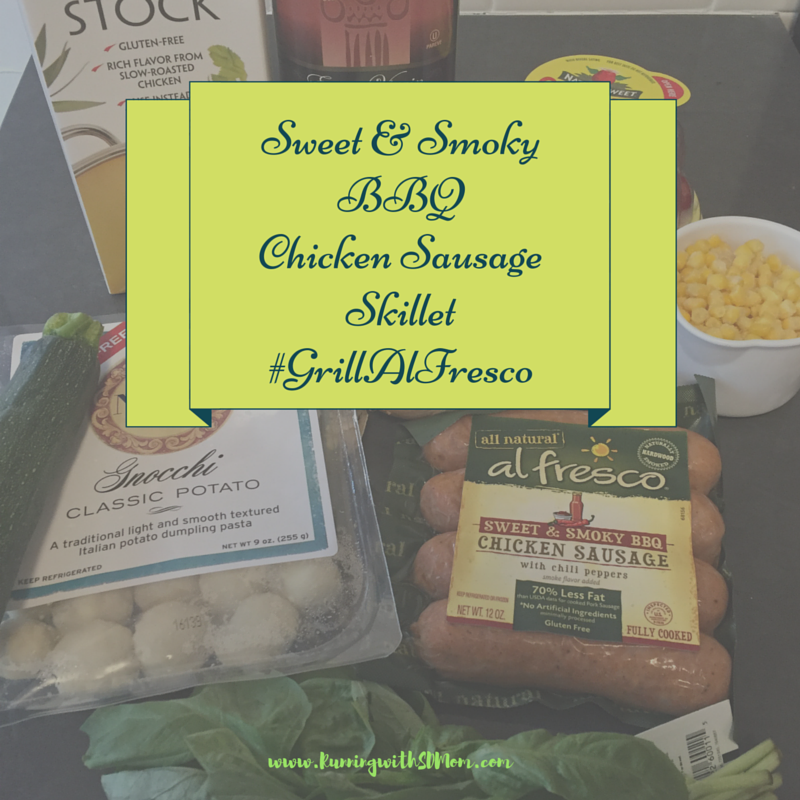 This recipe for Gnocchi & Chicken Sausage Vegetable Skillet from Iowa Girl Eats with an SD Mom twist! It is seriously so good and make sure you use all the freshest produce for a pop of summer in a pan! It is so simple it can't even be called a recipe but I have made it three times in one week and now I am addicted. So so so good! When you have friends who are like family, you hold on to traditions. We have spent a couple years now with Jenn and fam on the 4th and hope the tradition continues for ever! I was sent gluten free Wilde bars for review purposes and I am fascinated. They have super premium MEATS, chia seeds, flax seeds, quinoa, super fruits and veggies; all slow-roasted with some herbs and spices. No lie! Review coming soon! There is something in my new neighborhood called the 7 bridges hike. My sweet friend Alexis took me on a 4 mile run and we saw 2 of them. the Spruce Street Suspension Bridge. So scenic and so rad in the middle of the bustling city! So now your turn to tell me something good from your week! I love hearing your stories too! I am so happy you're loving the new place! I just got some Wilde Snacks, too - yum!! Love the bridges! It is always fun to run in new places. Sounds like you will have great running trails where you live. I love gnocchi. I have a recipe I have been wanting to make for that. How awesome is a 5 minute commute! So exciting to be in a new place. Enjoy ! It looks like there are some great places to explore as well. How fun to discover things in your new neighborhood!